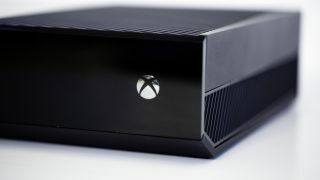 Opinions surround the Xbox One, but who's has been bought? The Microsoft and Machinima paying-YouTubers-for-Xbox-One-mentions kerfuffle has made headlines across the net, and now the companies are addressing the controversy. "This partnership between Machinima and Microsoft was a typical marketing partnership to promote Xbox One in December," the firms said in a joint statement, sent to TechRadar by a Microsoft representative. "The Xbox team does not review any specific content or provide feedback on content," the statement continued. "Any confidentiality provisions, terms or other guidelines are standard documents provided by Machinima. For clarity, confidentiality relates to the agreements themselves, not the existence of the promotion." Machinima seems to be taking the fall for this one, though Microsoft's involvement is acknowledged. The gaming site is cleverly covering its tail by pointing out it allowed YouTube partners to talk about the promotion, just not the nitty gritty of the arrangement. It's done this for good reason; forbidding participants from mentioning the promo may violate FTC rules, potentially landing Machinima and Microsoft in some hot regulatory water. Word started to rise over the weekend that Microsoft and Machinima ran a stealth marketing campaign in which the latter's YouTube video partners could earn an additional sum for videos where they mentioned the Xbox One. All a partner had to do to earn the extra cash was spend at least 30 seconds showing Xbox One game play, explicitly mention the console and tag the post "XB1M13." The kickback - $3 CPM, or $3 [about £1.81, AU$3.41] per thousand video views - wasn't the first of its kind. A similar promotion offering $1 CPM [about £.61, AU$1.14] for videos "promoting the Xbox One and its release games" was conducted in November. While some may not like such arrangements, it's not unheard of for companies to run these kinds of promotions. However, Microsoft and Machinima's seemed to cross two major lines with this set-up, namely the provision that participants kept quiet (which today's statement aims to deny) and outlining what they couldn't say. "You may not say anything negative or disparaging about Machinima, Xbox One or any of its Games in your Campaign Video," read a leaked copy of the XB1M13 agreement. When asked for additional information about the arrangement, the Microsoft rep told us the company had nothing to share beyond the joint statement. "Microsoft was not aware of individual contracts Machinima had with their content providers as part of this promotion and we didn't provide feedback on any of the videos. We have asked Machinima to not post any additional Xbox One content as part of this media buy and we have asked them to add disclaimers to the videos that were part of this program indicating they were part of paid advertising." According to more leaked materials, similar Machinima campaigns ran during PAX Prime, E3 and Comic Con last year. Unlike the Xbox One promotion, video affiliates were told to include notes in their video descriptions that read: "As a perk of being a Machinima Affiliate, I received a monetary bonus for posting this video as part of a promotion for [PAX Prime 2013, E3 2013 or Comic Con 2013]." Beyond potential legal implications, the newly revealed Xbox One arrangement raises concerns for consumers about who they can trust (both among companies and third-party reviewers), and where the line between paid advertising and seemingly organic content should be drawn. While Microsoft and Machinima are addressing the campaign, there's no word from either company about whether these kind of marketing efforts will pop up again or how they may try to regain consumers' trust. Aside from the occasional leak, consumers may be left in the dark when it comes to these kinds of marketing plots conducted right under their noses. PS4 vs Xbox One: who wins?